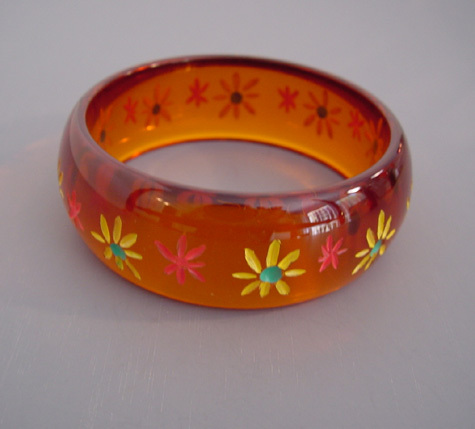 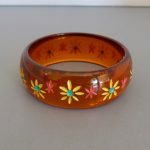 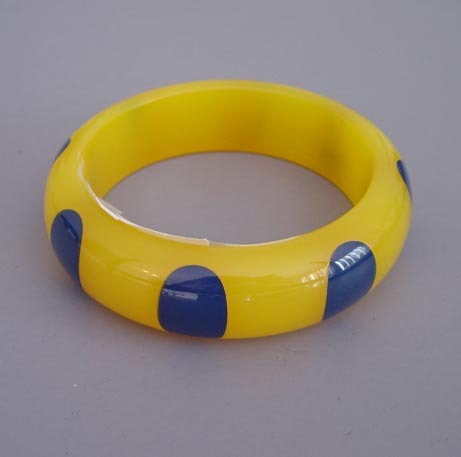 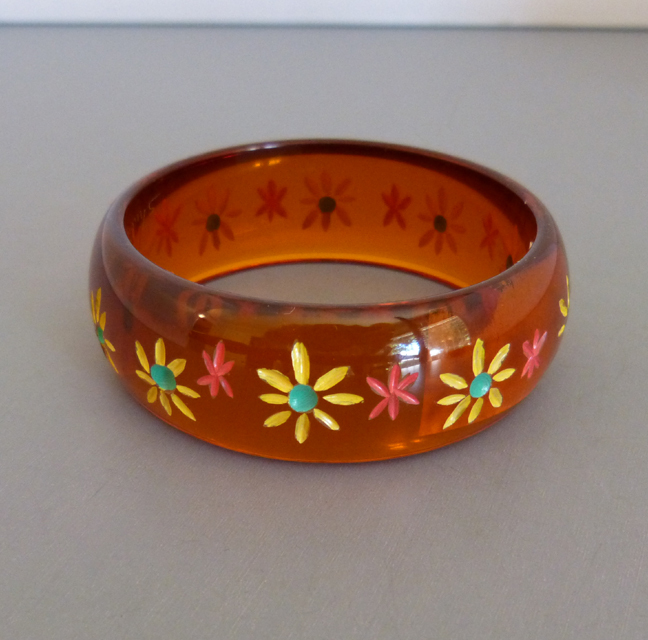 SHULTZ bakelite iced tea transparent bangle with front carved and painted flowers in yellow, aqua and pink, 2-1/2" by 1" by 1/4". 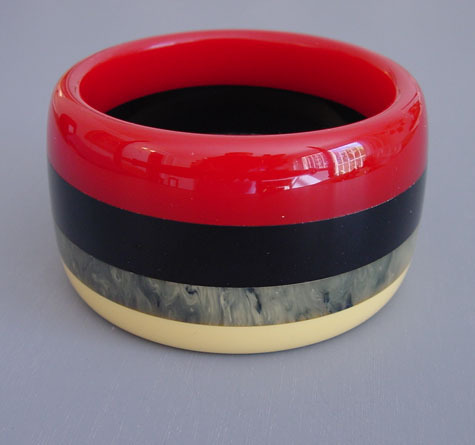 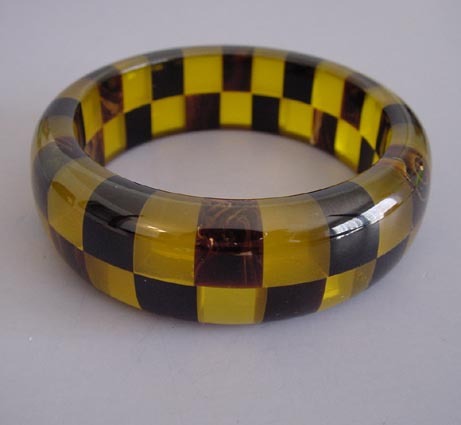 This is one of Shultz's earlier bracelets, and a really nice one. 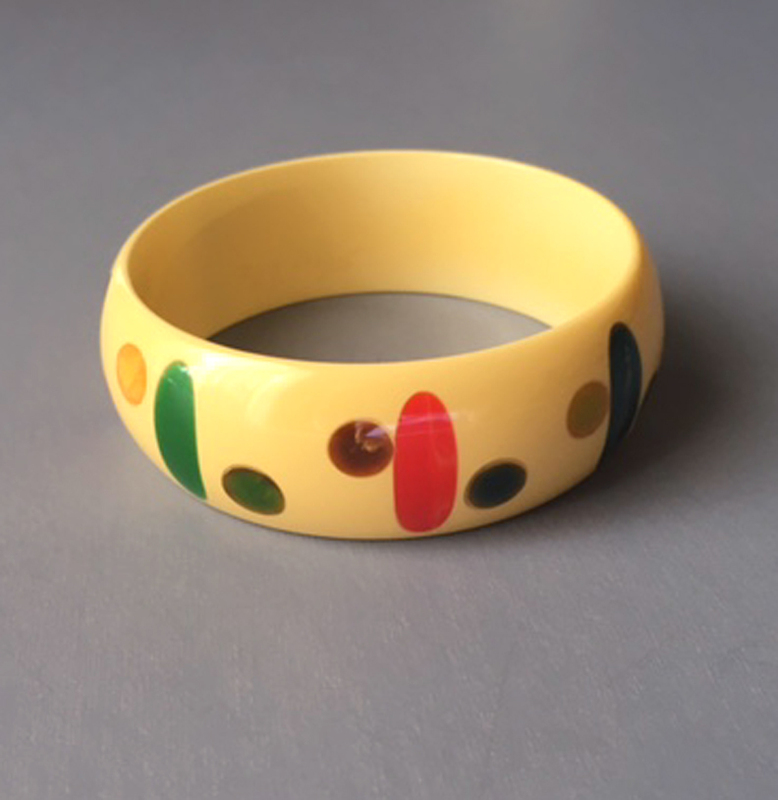 It's best not to get his painted jewelry wet.